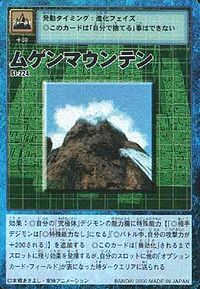 Infinity Mountain (ムゲンマウンテン Mugen Maunten) is a large mountain located at the center of File Island. Infinity Mountain lies in the center of File Island, and is the highest point of the whole island as well. 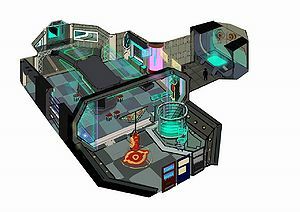 Inside, Infinity Mountain has a total of 12 floors, each floors connected to the next by warp points. Its only entrance is a small bridge connected to the Village of Beginnings, which is currently destroyed by a waterfall. Only the most powerful Digimon, as well as those who are affected most heavily by the berserk, resides in the mountain. First introduced in "Roar! Ikkakumon", Infinity Mountain is where Devimon resides. From its manor there, it controls Black Gears and manipulates other Digimon to attack the Chosen Children. 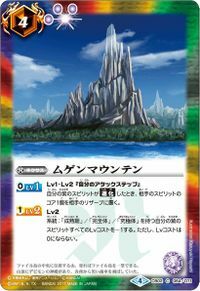 Infinity Mountain is also the place where a Unimon gets its water from. Infinity Mountain is the huge mountain at the center of File Island, rendered inaccessible due to the damage caused to the bridge which connects the mountain's entrance with the Village of Beginnings. However, by the time the prosperity rating of the village is 50 and the Digimon that escaped to the sky returned and defeated, the bridge should be fixed, granting access to all. One can sense that the reason behind the Digimon going berserk and leaving the village is on the top floor. Those that are most affected by it still resides within the mountain, powerful Digimon such as Devimon, Megadramon, and Metal Greymon, each looking for worthy opponents to fight. Defeating each will clear their minds, making it possible to convince them to join the village. It is said that even if the source of the berserk is destroyed, it may still generate a Digitama, theoretically continuing its effect. 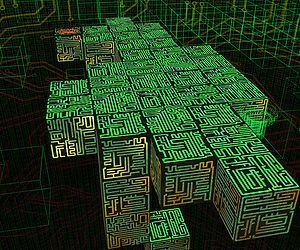 The 1st Floor of Infinity Mountain (as the DigiTower) in Digimon World Re:Digitize. A training gym is on the left, and a warp system is on the right. 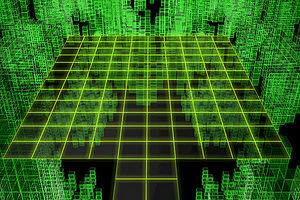 The 10th Floor of Infinity Mountain (as the DigiTower) in Digimon World Re:Digitize. By the time of Re:Digitize, Infinity Mountain has been transformed by the GIGO Company into the DigiTower (デジタワー Dejitawā). It is here in this Colosseum (コロシアム Koroshiamu) that the players of Digital Monster「デジタルモンスター Dejitaru Monsutā」battle each other. Now housing 40 floors, one must travel using a warp system, warping players to every tenth level. On the 1st floor is a training gym, for the convenience of those who trains before battling in the Colosseum. 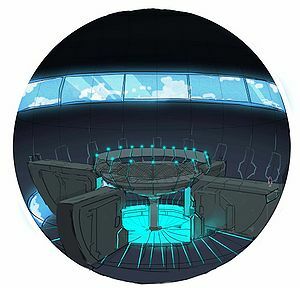 There is a VIP room on the 40th floor, granted access only to the most elite players who have bested the tests for each of the 5 battle styles in the Colosseum. At the very top of the tower is the control room, where all functions of the tower is being monitored. Real World players only have generic avatars, and are surprised to see Taiga and the others in their fully digitized "avatars." First introduced in the episode "Advance! Surpass the Snowfield" (進軍！雪原を抜けて Shingun! Setsugen wo Nukete), Infinity Mountain is the place where Unimon gets its water from. 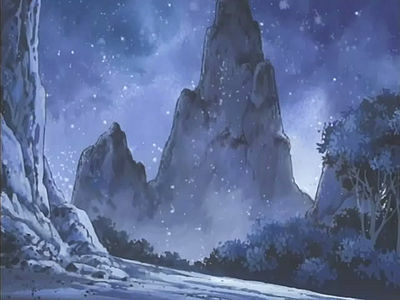 In the episode "Messenger of Darkness, Devimon" (闇の使者デビモン Yami no Shisha Debimon), the Chosen Children reach the top of the mountain, only to find that they are indeed on an island surrounded by the ocean. A mountain that stands in the center of File Island. By climbing it, one can gain a full view of File Island. Devimon's abode is located at its peak, from which it sends Black Gears flying to various locations. This page was last modified on 25 September 2017, at 02:53.